Master Bond UV10TKLO-2 is a special one component UV curable epoxy modified system for high performance bonding, sealing and encapsulation. This unique system has passed rigorous testing to meet low outgassing specifications, as per NASA ASTM E-595. UV10TKLO-2 has exceptionally high clarity and cures readily at room temperature when exposed to UV light. The ideal wavelengths for curing are 320-365 nm and the desired energy is 20-40 milliwatts per cm². The UV system is not inhibited by oxygen. UV10TKLO-2 offers outstanding resistance to water as well as to various acids, bases and solvents. The epoxy features superior physical strength properties and its service temperature range is from -60°F to +400°F. UV10TKLO-2 can be cured in thicker sections, up to 1/16 of an inch and can be easily “layered” to higher levels. 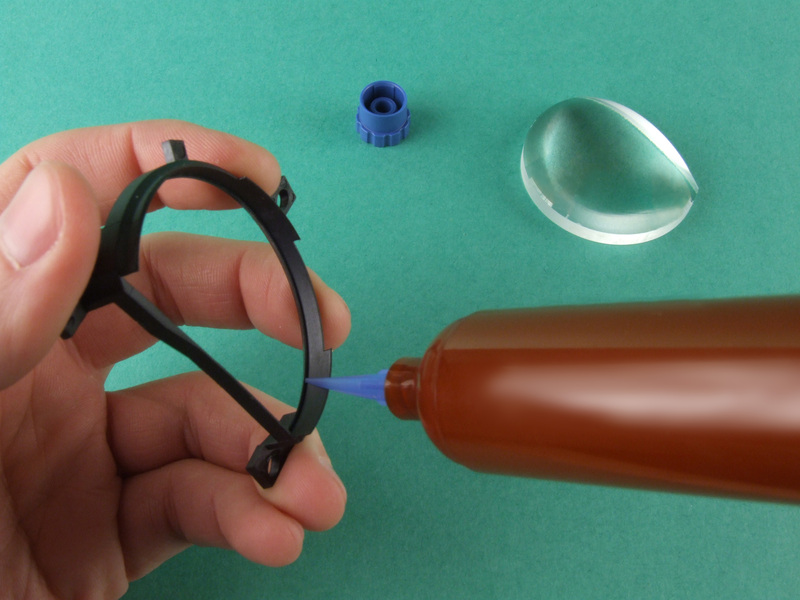 Most significantly, the low outgassing properties enable this UV to be used in a wide array of optical, electro-optical and vacuum applications that until now have been “off limits” for UV curable epoxies. It should be noted that to optimize cured properties, UV10TKLO-2 should be post cured at 80-100°C for a few hours. UV10TKLO-2 is available is various sizes and units to accommodate customer's needs.